If we rewind a few months to January 1st, many of us would have made some New Year resolutions in a bid to improve our way of living and break existing bad habits. But, how many of you are still going strong with those resolutions or how many of you have given up? According to a YouGov poll, the five most popular resolutions people set themselves last year, were to: eat healthier, exercise more, drink less alcohol, spend less money and get more sleep. All of which are centred on taking better care of ourselves and improving our health. However, according to a recent study, less than 25% of people stay committed to their resolutions after just 30 days and only 8% of people actually accomplish them. 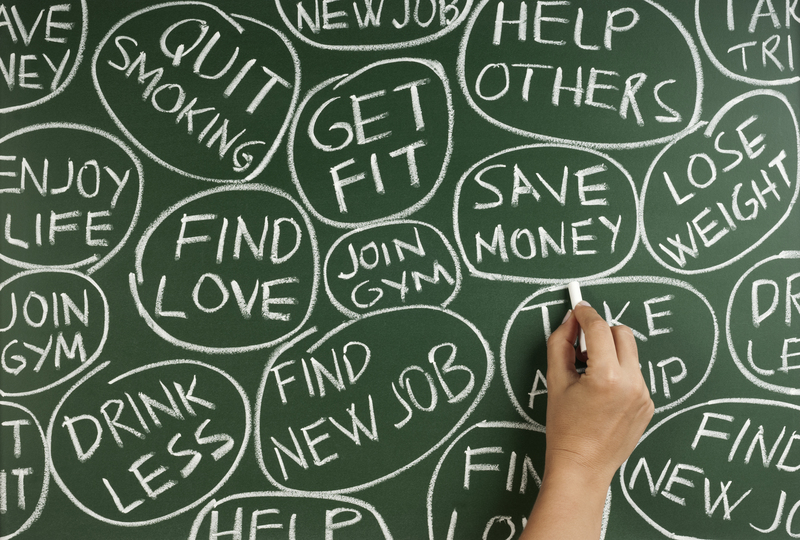 How do you stay on track and keep motivated enough to achieve your resolutions? Our handy guide will ensure you don’t become one of these statistics. The quickest way to fall at the first hurdle is by setting yourself a resolution that is unattainable. For example, resolving never to eat chocolate again (or any other favourite food) ever again is setting yourself up to fail. Instead set yourself a goal that is actually attainable, such as eating less than you do now, for example as a treat once a week. Don’t pluck your resolution out of thin air, give it some careful thought and plan ahead. If you wait until last minute, your resolution will most likely be based on your mind-set at that moment rather than a long-term goal. Once you have your heart set on a particular goal it is worth spending some time thinking about how you will deal with temptations to break your resolution such as skipping the gym or having an extra glass of wine. Rather than giving in, it is worth having ‘coping mechanisms’ to call on which can help to keep you on track. It could be anything from calling a supportive friend, to distracting yourself with a hobby or having a reward as an incentive for reaching your end goal. Seeing things in writing can act as a great motivator, especially if you put it somewhere where you are regularly going to see it such as on your wardrobe or in the kitchen. Creating a list of ‘pros’ and ‘cons’, which can be added to over time could be just what you need to keep you on track. For example, the ‘pros’ of exercising more could include feeling healthier, more confident and increasing energy levels. Don’t be tempted to keep your resolution a secret, share it with your family and friends so they are also aware of it and can be there to support you. You never know, you might find you have the same goal as a friend, in which case you will have someone there to motivate you and perhaps be a gym buddy. One of the greatest motivators is having a shared goal with someone else so you can spur each other on. …within reason! If you are working towards eating healthily, this doesn’t mean rewarding yourself with a big box of chocolates!!! But instead choosing appropriate rewards could be just what you need to keep going with your resolution. So, celebrate your successes by treating yourself to something you enjoy which won’t contradict your goal, for example a visit to a spa, a new dress or pair of jeans, a new book or a weekend away. It is sometimes worth breaking your end goal down in to a series of smaller targets. By keeping track of your progress and small successes you will see the positive changes you are making which is just the encouragement you could need to carry on towards your end goal. For example, if you are working towards losing a stone, focus on losing five pounds at a time. This will feel much more achievable and you’ll gain a sense of accomplishment sooner than if you only reward yourself once you have lost the full stone. It is only normal to have the occasional slip-up along the way to achieving your goal but it is important not to get too hung up on. Simply get back on track as soon as possible and have confidence in the knowledge that you are trying your best and making positive changes. Drastic changes won’t happen overnight, it is believed to take at least 21 days for a new activity or lifestyle change to become a habit and six months for it to become a way of life. Bear these timescales in mind and be aware that things will get easier if you persist and are patient. Even if you have already run out of steam and your resolution is a distant memory, it is never too late to get back on track. Start a fresh and apply some of these motivating tips, take it a day at a time and you’ll be at your end goal before you know it. 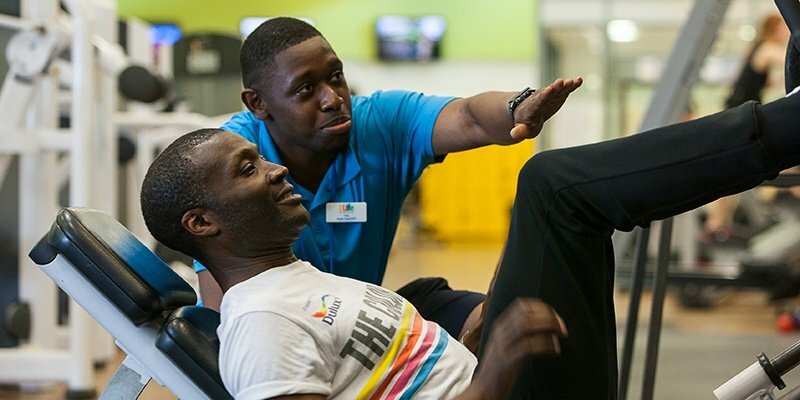 For more motivational advice, classes, facilities and activities call into your local 1Life centre today.